Who doesn’t love Star Wars – and who doesn’t love steampunk? 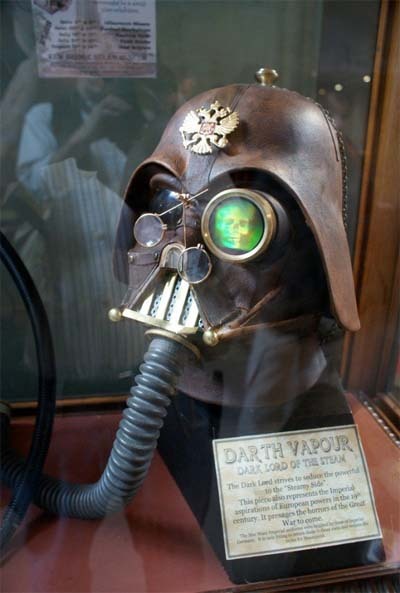 OK, the latter might have a few detractors, but when you have a steampunk take on the Dark Lord of the Sith’s helmet this fine, who cares? Yes, observe ‘Darth Vapour’ and tremble, Jedi. He will wear brown or die, my master. Thanks to my buddies at Blastr for spotting this beauty.